Excellent teaching tool for introducing pressure and discussing its applications such as vacuum cleaners, flight, pumps, weather, and even how we breathe. Place the balloon into the opening of the bottle and stretch the mouth of the balloon over the mouth of the bottle. Blow into the balloon, and when it is fully inflated, close the bottom hole of the bottle with a stopper. The normal air pressure from outside allows the balloon to stay inflated. No twisting or tying required. 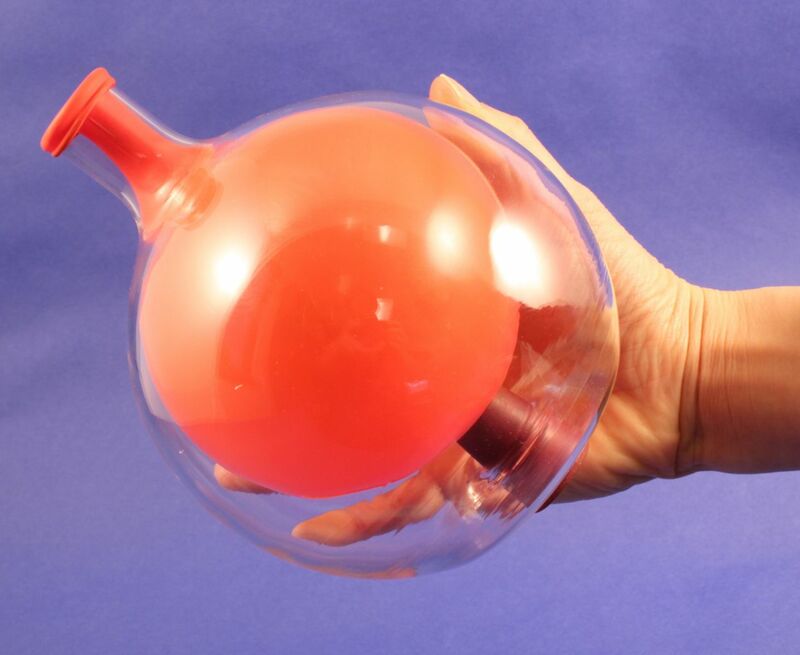 Demonstrate the strength of air pressure by filling the balloon with water before releasing the stopper. The Harbottle is designed for grades five and above. Ordering information: This kit includes a glass bottle, two balloons, rubber stopper, and teacher's guide with background information and activity suggestions for students.